It is our intention to assist, whether through video or research to help farmers (and laypeople) grasp the principles of soil health. Once they get those, they can figure out the practices that work for them. Buz started his professional life as a chemical engineer and spent 12 years in the mining/mineral processing industry in Namibia, Africa. In 1999, he joined the University of South Carolina and has been involved in various projects related to agriculture and environmental quality. Buz is passionate about working directly with farmers on soil health projects and research and how they can leverage the cover crop to improve crop performance both in terms of yield and savings in inputs. 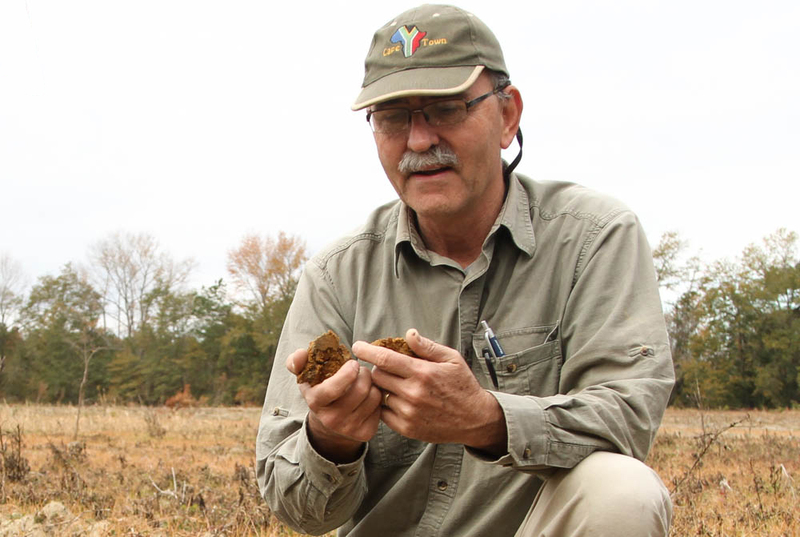 Buz’s passion for soils has moved him into the roles of storytelling through video. His documentary “Under Cover Farmers” and his recent series on the “Science of Soil Health” and “The International year of Soils”, available on line, are examples of his work and passion. Buz is a research associate professor in the Environmental Health Sciences Department at USC’s Arnold School of Public Health and holds degrees in Chemical Engineering from the University of Cape Town in South Africa, and an MBA and PhD from the University of South Carolina. Gabe is a transplant from Omaha, Nebraska working on his PhD with Buz at the University of South Carolina. Much of his youth was spent on his grandparent’s farm and with extended family sprawled throughout rural Iowa, and his father worked his way up from meat packing plants into the USDA’s Food Safety Inspection Service, so Gabe is no stranger to agriculture or the ways in which food gets from farm to table. 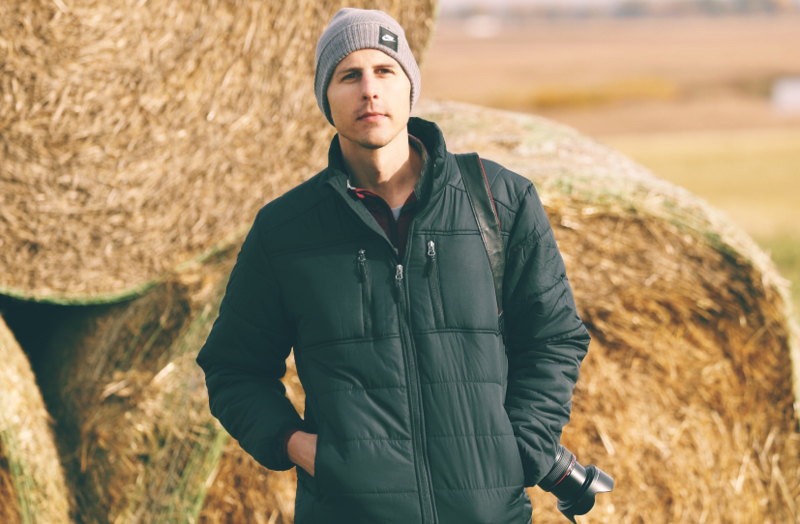 Gabe’s background is focused on molecular biology, beginning with a degree in Biology from the University of Nebraska at Omaha, he then spent 3 years working in human genetics before going back to school to earn a Master of Public Health in Infectious Diseases & Zoonosis from Kansas State University and then on to South Carolina to pursue his PhD in Environmental Health Sciences. 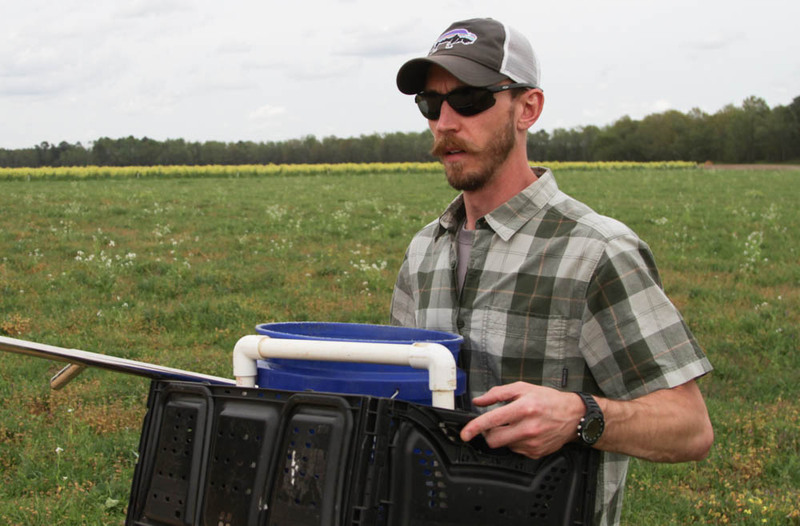 At the University of South Carolina, Gabe is currently focusing his interdisciplinary background back towards his Midwestern roots and is examining ways to better understand healthy soils in agricultural systems and how to promote environmentally responsible agricultural practices. He is using soil metagenomics to explore nutrient cycling potential within differentially managed agricultural soils, and other ways in which the relationship between plants and soil microbes can produce and healthy crops while minimizing synthetic inputs. Lacy is a native of St. Petersburg, Florida. Winthrop University brought her to South Carolina in 2012. At Winthrop, she earned her Bachelors of Science in Middle School Education with a minor in Sustainability. After a year of teaching middle school math and science, she decided to further her love for environmental science by coming to USC for her Masters of Earth and Environmental Resource Management. She continues to love athletics and strives to combine her loves for sports and the environment through her research. Though she might not research agriculture directly, she believes farming and athletic field maintenance can both learn from the successes of the other. 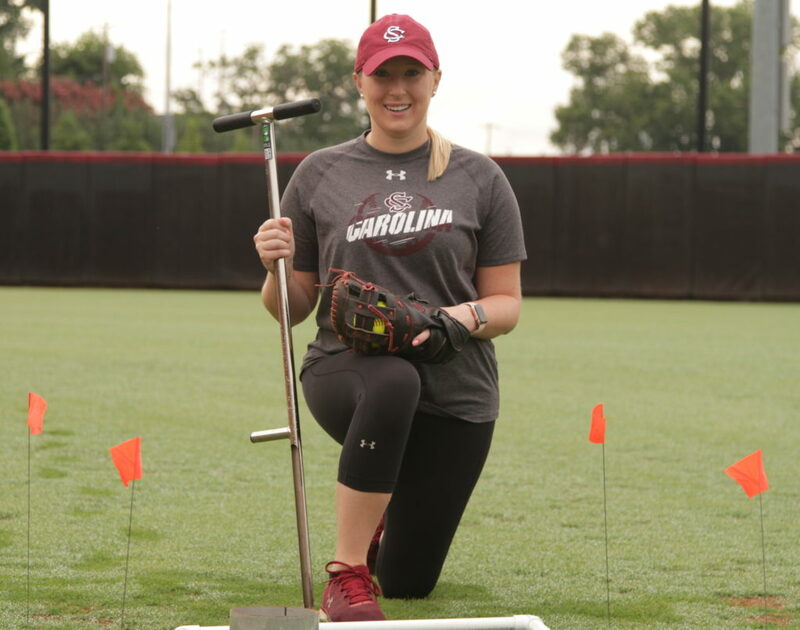 Lacy is learning from the strides in soil health in agriculture to try to improve soil microbial diversity on athletic fields by using compost and compost tea. Just like in education, Lacy loves the interdisciplinary aspect of this work and enjoys getting to share it with others. Barrett always knew that he would wind up in the creative field, but the path that got him there was as unique as it was unpredictable. After attending the University of South Carolina for the better part of 3 years and finally settling on an Occupational Technology degree from Midlands Technical Institute, Barrett set out into the audio/video field. Heading up the audio and recording responsibilities alongside partner Jesse Welnick on video, Barrett produced various training and informational videos for companies such as Michelin. In 2011 when his partner was forced to relocate, Barrett made a strong transition away from audio and into graphic design. Since starting this role, Barrett has had the pleasure of not only being the chief Brand Identity Designer for dozens of small businesses, he’s also contributed graphic content to some of the titans of the sports industry: The Bleacher Report, Athlon Sports, Slam Magazine as well as various ESPN affiliates. It wasn’t too far into this role that Barrett had the opportunity to expand his skillset into copywriting and, shortly after, social media management. As of 2016, Barrett has worked with clients from around the globe conceptualizing and contributing targeted graphic, written, and social media content.